Even if you think you live in a dry and arid climate you may be at risk for flooding, which your homeowner’s policy probably doesn’t cover. Flooding is common across the Western United States and can be caused by a variety of situations including heavy rain, melting snow, severe coastal weather, storm surges, blocked drainage systems and excessive rise in rivers, lakes, and other bodies of water. The National Flood Insurance Program (NFIP) recommends Flood Insurance to everyone and may even require you to possess Flood Insurance if you live in a high-risk area. Let the experts at Menath Insurance help you protect your home and family from natural disasters like floods today. There are two types of Flood Insurance policies you can choose from based on your property’s location and flood history. If you live in a high-risk flood area you qualify for Standard Flood Insurance, which is insured by the National Flood Insurance Program (NFIP). 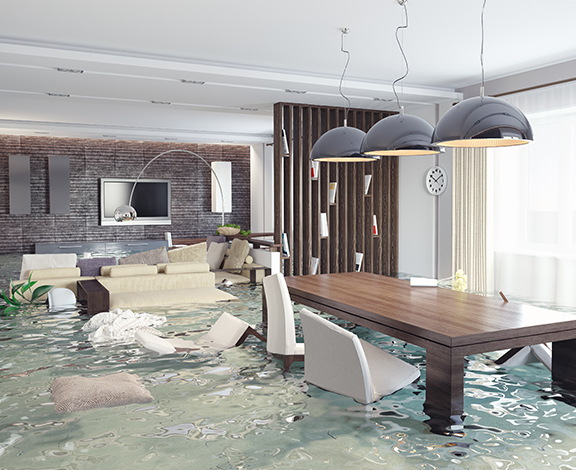 Many mortgages require Standard Flood Insurance in high-risk areas. You must apply for building coverage and contents coverage separately to ensure your home and its contents are fully protected. Depending on what you qualify for, coverage can protect the structure of your home, permanent structures on your property, the vehicles on your property, and the contents within your home including flooring, furniture, and valuable items (refer to your policy for details and exclusions). Let the passionate and experienced agents at Menath Insurance work to protect your home and property against natural disasters like flooding today. We’ll ensure that you are fully protected in the event of accidents or damage to you, your family, or your home during flooding. Call or click for a free quote today.